Hi everyone!! 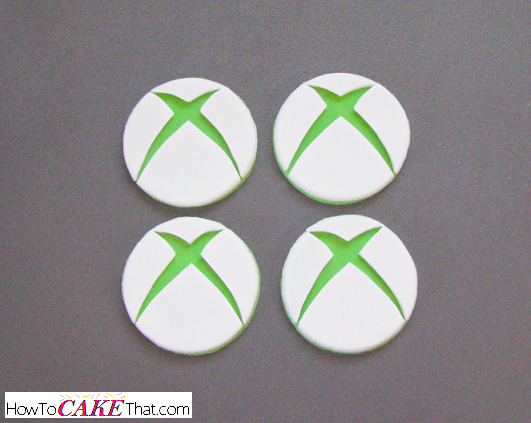 Do you have a gamer in your family who has a birthday coming up? 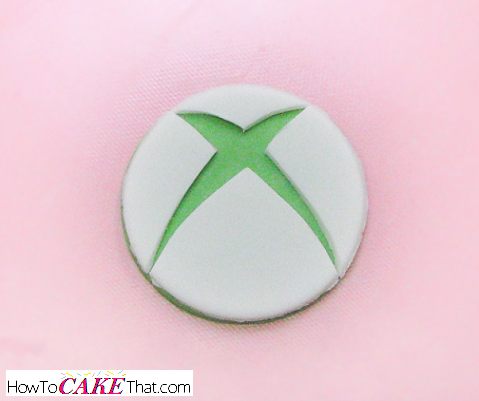 Or do you have an order for Xbox theme cupcakes? 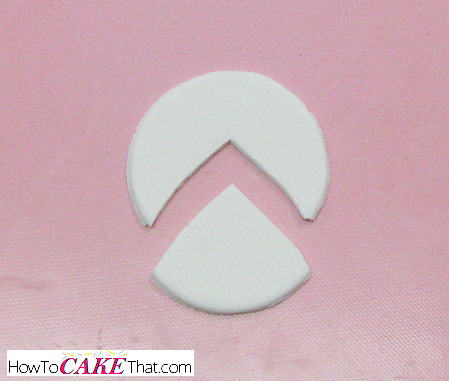 Well, I have an easy edible cupcake topper tutorial to share with you! I hope you enjoy! To begin this tutorial, we will need to make a template! 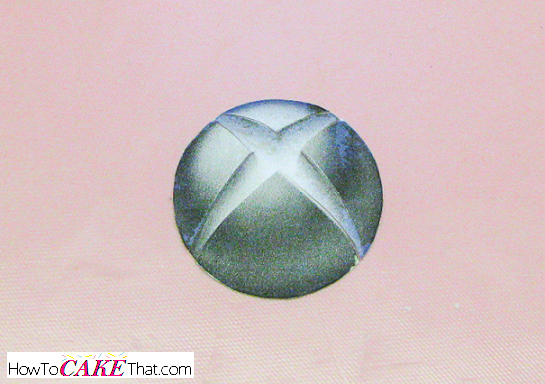 I found this Xbox 360 logo in the google image search results. Print out the logo in the size needed for your project. Then, cover both sides of the logo with clear masking tape to protect it (a handy tip I learned from high school art class ;) ), and cut out the logo. 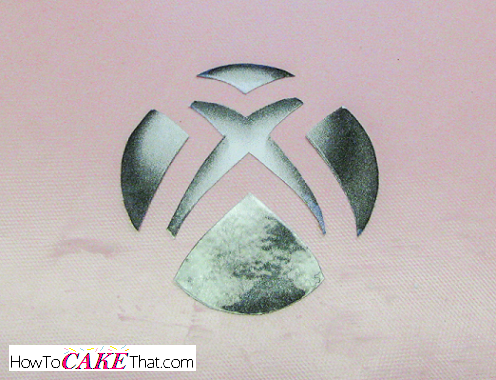 Next, using an Xacto knife, cut out the pieces around the "X". Blend a mixture of about 1 part gum paste to two parts fondant (meaning, use 1 ounce of gum paste for every 2 ounces of fondant). Color half of your fondant/gum paste mixture with green food coloring gel (I used Wilton's Leaf Green). 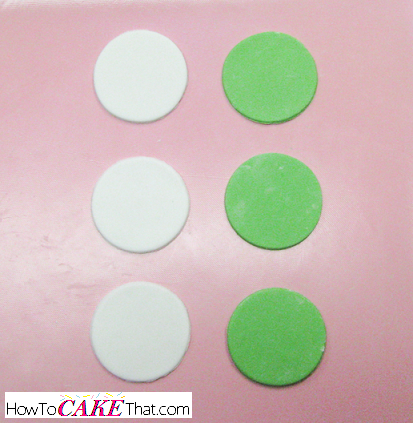 Roll out white fondant/gum paste and green fondant/gum paste, and using a circle cutter the same size as the printed logo cut out an equal number of white and green circles. 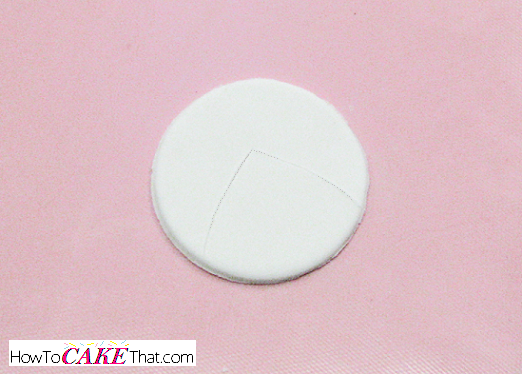 Allow the circle pieces to sit overnight to slightly dry. Do not let the circles dry completely before cutting or they will crack and break. The outside should be dry and slightly firm, but the inside should still be flexible and soft. Note: If you need your toppers to dry really fast, use 100% gum paste. 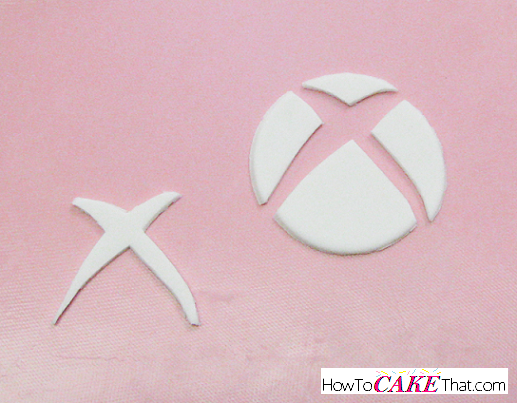 After rolling out the gum paste and cutting out the circles, allow them to dry for at least an hour (if in a humid climate, allow to dry for at least 3 hours), then proceed on to the next steps. After the circles have dried overnight, it's time to cut out the pieces to the logo. For this part, you can either use the 4 pieces surrounding the "X" like I'm doing, or you can use the "X" itself - whichever is easiest for you. 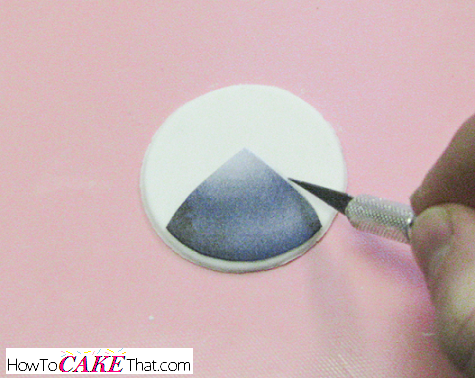 Place your template onto a white fondant/gumpaste disk and lightly trace around the edges with an Xacto knife to leave a light mark. Tracing around the template gives us a guide to follow when cutting out the pieces for our logo. Using an Xacto knife, completely cut through your traced mark. Repeat these steps with the remaining pieces until the entire logo is cut out. Toss the "x" piece - we will not need this piece. Now it's time to glue the white pieces onto the green circles. To do this, paint the backs of the white pieces with a little water. 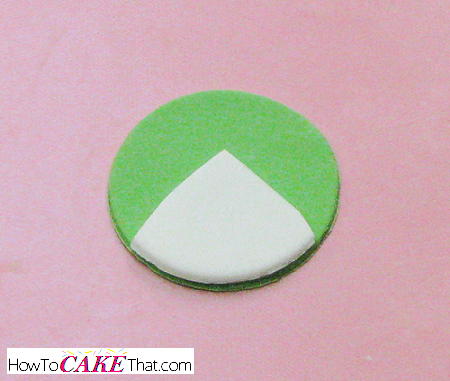 Place the white piece wet side down to glue it onto the green disc. Make sure the edge of the white piece lines up with the edge of the green circle, or overlaps it by a tiny bit to ensure the green isn't visible around the outer edge. Repeat these steps with the remaining pieces. Trim any edges with an Xacto knife or sanding paper to neaten, if needed. Allow the decorations to dry overnight, or until completely hardened. 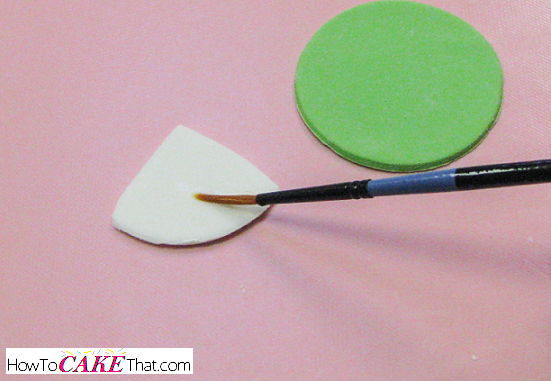 I hope you have enjoyed this edible cupcake topper tutorial! God bless!